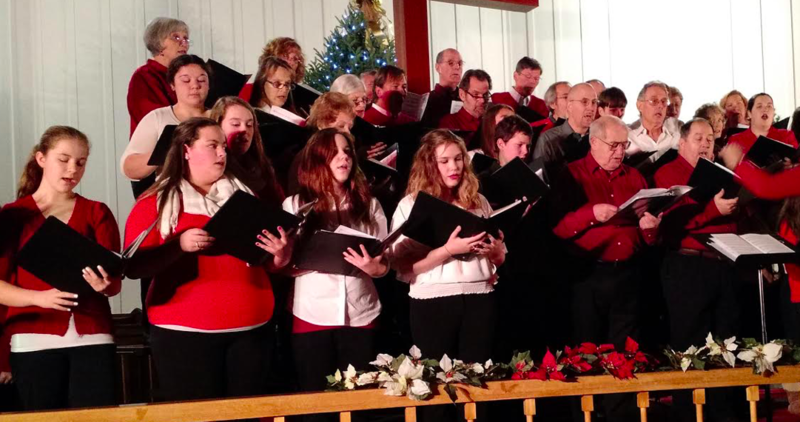 RANGELEY - Rangeley Community Chorus will present their annual Holiday Concert on Friday, December 14 at 7 p.m. at Church of the Good Shepherd, 2614 Main St. in Rangeley. Enjoy classic Christmas music and original holiday works from the full chorus as well as soloists and small group selections, poetry and readings. RCC is under the direction of Erin Smith and accompanied by Robert Ludwig. Admission is $15/$10-youth and tickets are available online at rangeleyarts.org/: click on “Buy Tickets” at the top of the page. Tickets will also be available at the door. The chorus includes both year-round and seasonal residents of the Rangeley area and members from surrounding towns. RCC is sponsored by the Rangeley Friends of the Arts, a non-profit organization celebrating their 50th year of bringing “the arts to life” in the Rangeley Lakes Region. For the RFA’s complete schedule of events, visit www.rangeleyarts.org.